Possibly the most appalling election ever foisted on British public is finally over. A strange new beast in the form of Police and Crime Commissioners who nobody wanted, have now been imposed on the public with possibly the smallest slice of the electoral vote in history. If ever there was a case of politicians failing to listen to what the electorate do not want, the PCC elections have proved just that. In the lowest electoral turnout ever, the British public have clearly voted with their feet to express their collective displeasure at what will probably prove a contentious and possibly nonsensical new level of interference now injected into the police hierarchy. The new Police Commissioners are supposed to set policy and budgets in police forces which in the main, have more than adequately done well enough on their own in the past. One of the problems with setting policy is most of the new commissioners are from political parties which is likely to lead to a wide difference in policy being set in each police area. Chief Constables may well have different ideas and all this election has done is set the stage for unnecessary confrontation between the two. If such confrontation occurs, ultimately it will probably be the public that probably suffer through effects on policing. The turnout in the elections averaged between 13% – 20% with those elected only receiving a fraction of this derisory small percentage. There are claims that in some polling stations, no one cast any votes at all. Some will claim that it was apathetic voters failing to turn out but in truth, the majority of voters will not be dissimilar to myself. I am certainly not apathetic and I am quite proud to announce that for the first time ever, I DID NOT VOTE IN THIS ELECTION. I did not vote because I did not want police commissioners, however it is not possible under the electoral system we have to cast a no vote or where a candidate failing to secure a minimum percentage of the vote is not elected at all. Not voting was the only way that I and probably most of the electorate could silently voice our displeasure. It is going to prove difficult for the new police commissioners to claim they have a mandate from the people to carry out whatever policies they subscribe to. The easiest thing for politicians to now do is admit the entire fiasco has been a big mistake and pass the necessary legislation to revert back to the previously and publically acceptable position. However what government will ever admit it made a mistake? It now appears this distinctly uneven playing field has been set which as time passes is likely to prove even more unpopular with the public. My wife has spent the weekend going through and drastically reducing the list of people we normally mail Christmas cards to. The list stood at about 120 people although I think its now down to a fraction of its former size with further pruning to come. The main reason for this exercise is due to the now high cost in postage of sending Christmas geetings to friends. Without drastically cutting, our usual mailing list would cost about the same as filling a car with an empty petrol tank. It does make one wonder if the Royal Mail have ever heard to the law of diminishing returns? At £0.50 for the cheapest card, the nice gesture of being able to wish friends a Merry Christmas in a tangible way is simply becoming an unaffordable luxury. With the current economic recession, I suspect many other people will be making similar decisions. The Christmas period is when our Royal Mail normally employ a lot of extra temporary staff to assist with the bulk of increased Christmas post. I cannot help but wonder this year if any additional staff will be required at all? Clearly modern technology with the use of free email, Instant Messages, and free international video calls through organisations like Skype are having a drastic effect on the Royal Mail’s finances. When I was younger there used to be at least two deliveries a day and a second class post was unheard of. Now we hear there is no guarantee of next day delivery, even for first class mail. The distinction between the two classes of mail have always puzzled me. How it works in practice I do not know but I sometimes have visions of second class mail being put to one side creating a growing snowball effect of mail awaiting to be processed. Personally I have always though if enough people stopped sending mail first class it would simply cease to exist and all mail would have to be processed at the same time in the same way. The Royal mail also introduced an additional variable charge based on what I find very confusing, dimensions of the envelope. I even had a card put my letter box once saying that some of my mail was being held at the sorting office as the sender had paid the wrong fee for the dimensions of the envelope. As the recipient of the mail, it would appear that I was to be punished by additional hefty fees to claim my mail and then only after I had incurred even additional expense by travelling to the sorting office some eight miles away. Needless to say I never bothered to collect this mail or pay what I consider a swinging penalty fee. For all I known this mail is still being held in the sorting office. I wonder what happens to this unclaimed mail. Will the sorting office one day burst at the seams from an Elephant’s graveyard of unclaimed mail, or is it somehow disposed of? I just hope my unclaimed mail was not a legacy from un unknown relative. All I know that if it were not for modern technology, many people would be learning the art of the bush telegraph. I wonder if some time in the future the Royal Mail will stop delivering mail altogether and become a bygone historical institution? Who knows, it may be sooner than we think. Grey skies, an ever thickening blanket of falling leaves and a recent cold spell are all signs that November is upon us with winter fast approaching. Summer still has the feeling of only being yesterday but in truth, with each passing day it is becoming something of a distant memory. 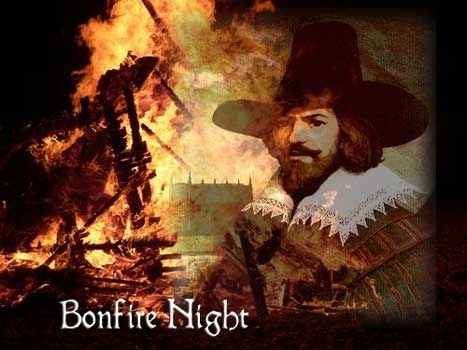 October went out with what is becoming a traditional Halloween Festival and in England, the 5th November also means Guy Fawkes Night when effigies of Guy Fawkes who tried to blow up the Houses of Parliament in what was known as the Gunpowder Plot, are burnt on bonfires accompanied with a fireworks display. These two events, one ancient the other not quite so tend to indicate how different countries around the world adopt local traditions and circumstances into their way of life. As a youngster, Halloween was not really celebrated in the UK but the news was always focused on the American “Trick or Treat” custom which had developed. Our ever growing supermarkets not ones to miss an opportunity for increased profits, soon realised there was money to be made out of Halloween and consequently started advertising witches hats, pumpkins and all the associated paraphernalia in a big way. 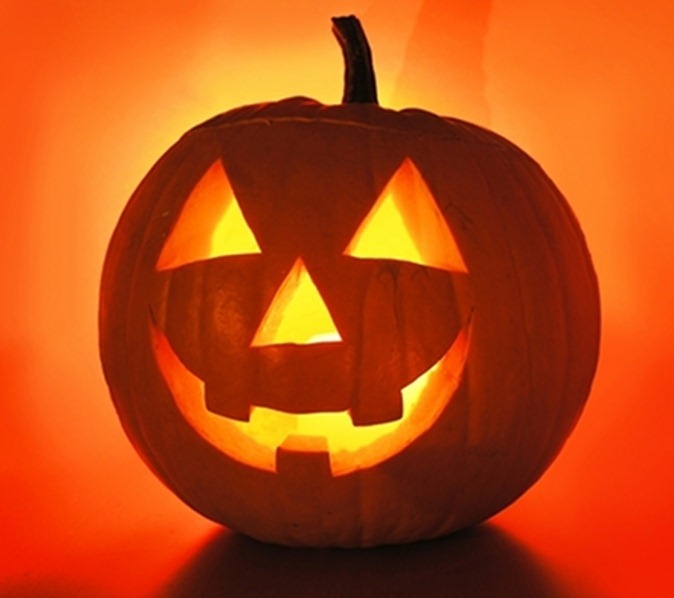 Now in the UK, Halloween is as big an event as it is in many other parts of the world. In this case, the drive for increased profits created another tradition in the UK. The festival of Halloween itself goes way back into history. The name is an abbreviation of All Hallows Evening and there is some debate whether it developed from Christian origins or was adopted from the Celtic pagan Samhain festival. If the origins were Celtic, the Roman Empire which never found any difficulty in adopting local traditions and customs would certainly have helped spread the custom around countries under its control. The Polish Roman Catholic Church has recently raised concerns that Halloween rituals risked promoting the occult but it is fair to say over time, the Christian Church never faced any difficulty in adopting elements of Pagan ritual into it’s own customs. Two examples of this are Yew trees in church graveyards and more local to myself, the tradition of Wassailing. Wassailing is a ritual where the local clergy tour the local apple orchards early each year to give a blessing for a fruitful harvest. In some ways, carol singing is also a form of wassailing. Elements of both the rituals or symbolism of the Yew tree and Wassailing can however be traced back to Pagan origins. There are probably other examples as well. I dare say the English tradition of burning a human effigy on a bonfire will one day in the future be viewed as not being politically correct but at the moment it is something we will continue to enjoy. As a youngster, we used to make our Guy Fawkes dummies some weeks before bonfire night. By propping the dummy up on a street corner or pushing it around the streets in an old pram, we would call out what had become a traditional cry of “Penny for the Guy” to passers-by. It was a way for children to collect money with which to buy fireworks. Laws have since changed and it is no longer possible for children to buy fireworks. Fireworks have also changed both in design and price. Penny bangers as they were known are now banned as are jumping crackers. Fireworks were also small in size compared with those on sale today. As both the size and complexity of modern fireworks have developed, so has the price. Fireworks have now become so expensive that few people can now afford to spend a small fortune to go up in smoke. As the price of fireworks increased, so has the popularity of organised displays where everyone is a winner. For a modest entrance price, it is possible to enjoy a firework display far grander than an individual could afford. In some ways displays are similar to when I was a child. People then used to close off a street and everyone could enjoy watching everyone’s fireworks. Recently on a recommendation from friends we went to lunch at a public house in the tiny village of Dinnington in Somerset, about a 15 minute drive from our home. The pub known as Dinnington Docks was the former 17th century free house known as the Rose and Crown. Dinnington Docks is situated on the Fosse Way, the original Roman road that linked Lincoln, (Lindum Colonia), in Lincolnshire with Exeter, (Isca Dumnoniorum), in Devon. It is also close to the excavation site of the largest Roman villa ever found in Britain which once featured in a Time Team television programme. Our friends recommendation proved well worth the visit with a modestly priced but more than adequate delicious meal accompanied with equally good service. Good pubs like this seem to abound in this part of the world. It is also a pub featured in Camra’s Good Pub Guide. 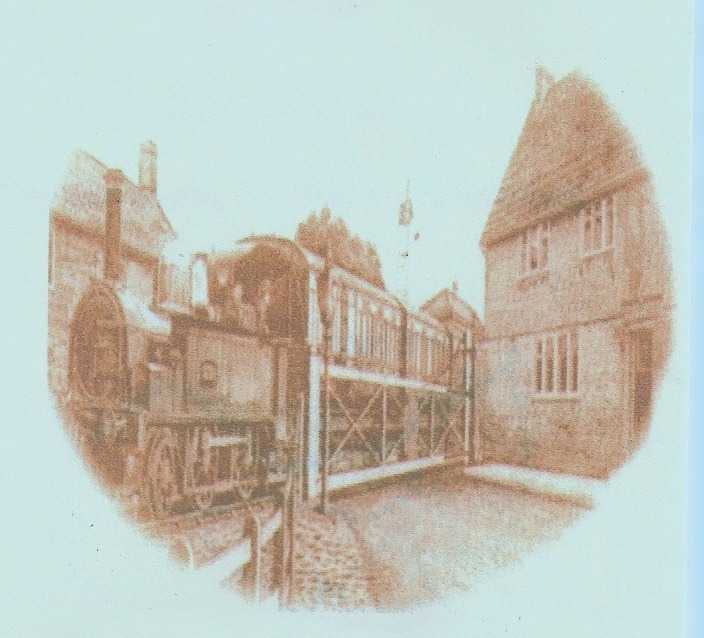 The decor of the pub features railway and maritime memorabilia to reflect local folk lore of which a spoof picture is incorporated in the pubs sign. The pub also welcomes dog owners and as they say, “Whether on foot, two wheels or four, on a boat or a train, with or without dogs or children, dripping wet or dry as a bone, you will be welcome”. I can certainly endorse that and although probably better suited to fairer weather conditions, anyone who enjoys hiking holidays would do well to make this pub part of their route and the welcome respite it offers.